Originally where a lake was, construction was started in 72AD and completed in just eight years by Titus who used prisoners from Judah. The Colosseum was built on the site of Nero's palace. 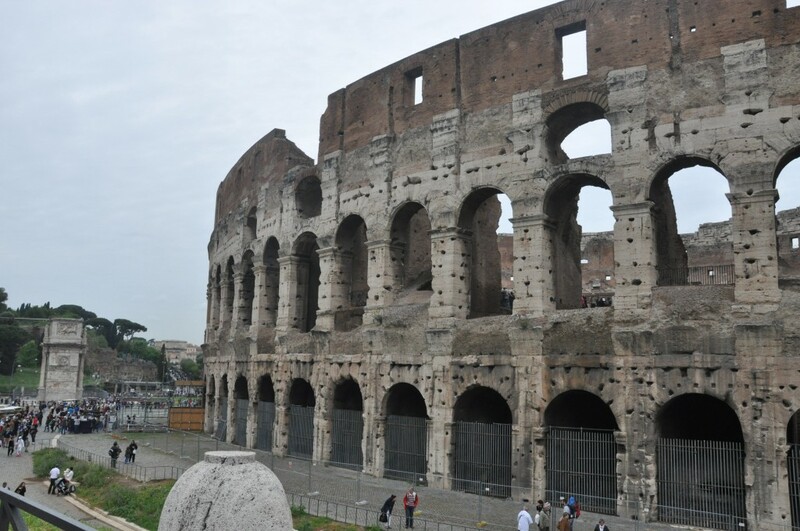 The Colosseum in Rome Italy is one of the 7 wonders of the world. It is a look into the history of the Roman Empire. It was built to reward the commoner for their support of the Emperor. The Colosseum, also known as the elliptical amphitheatre was ordered by Emperor Vespasian the founder of the Flavian Dynasty to start construction in 72 AD. His son Titus completed it in 80 AD, the year after Vespasian's death. After Titus’s untimely death, his younger brother Domitian finished all of the decorative work and built the underground caverns. It is the largest amphitheatre in the world and it is considered one of the greatest works of Roman architecture. It is also one of the seven wonders of the world. The name Colosseum has long been believed to be derived from a giant statue of Nero that stood nearby. It was built on the site of an artificial lake, part of Nero's huge park in the center of Rome which also included the Golden House - Domus Aurea - and the nearby Colossus statue. 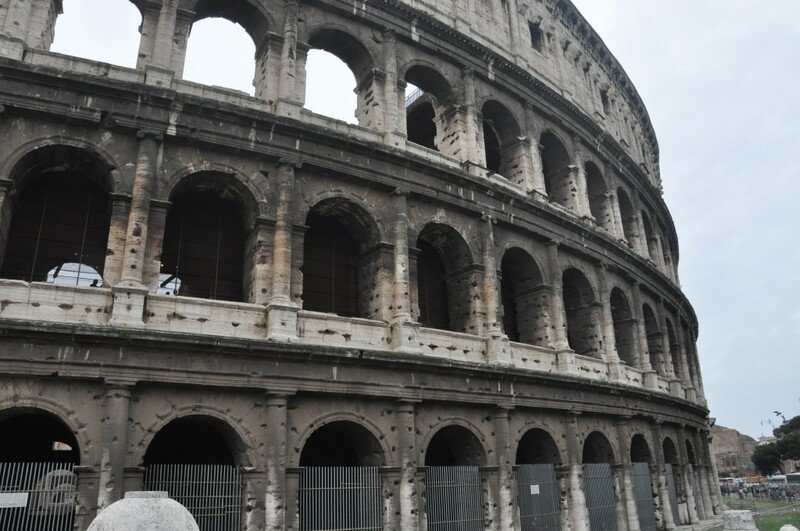 The Colosseum is very big measuring at 188m long, 156 wide and reaching a height of more than 159 ft. It had 80 entrances allowing the 55,000 spectators easy access. To protect the spectators from the sun and rain, they would cover the Colosseum with a giant sail known as the velarium. 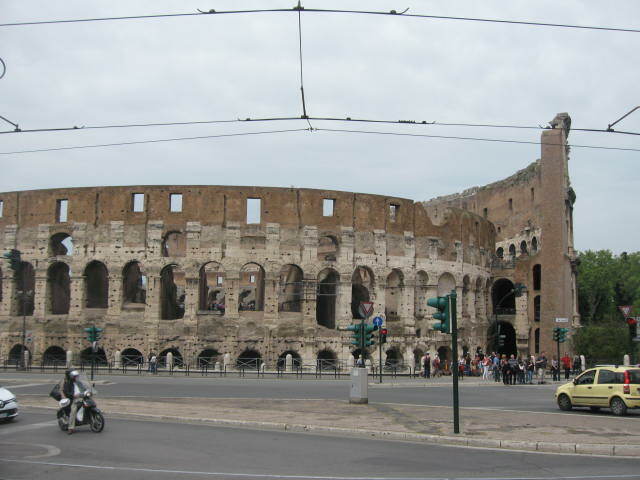 It was attached to large poles on top of the Colosseum and anchored to the ground by large ropes. Emperors used the Colosseum to entertain the public with free games. They held thousands of hand-to-hand combats between gladiators to the death, contests between men and wild animals. The men who fought were prisoners of war, slaves or condemned criminals. They sometimes would flood the arena with water and have mock naval engagements. Part of the structure has fallen into ruin. 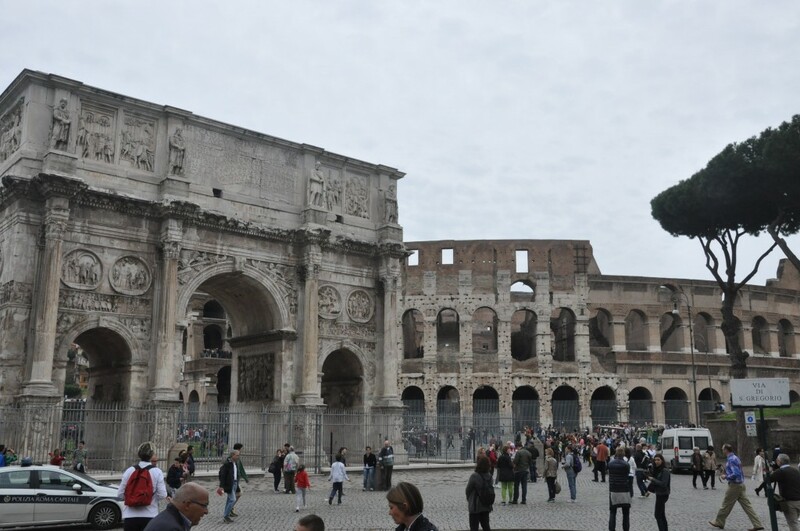 The southern side of the Colosseum was felled by an earthquake in 847, a great fire destroyed parts of it too. Parts of the building were later used for other construction. 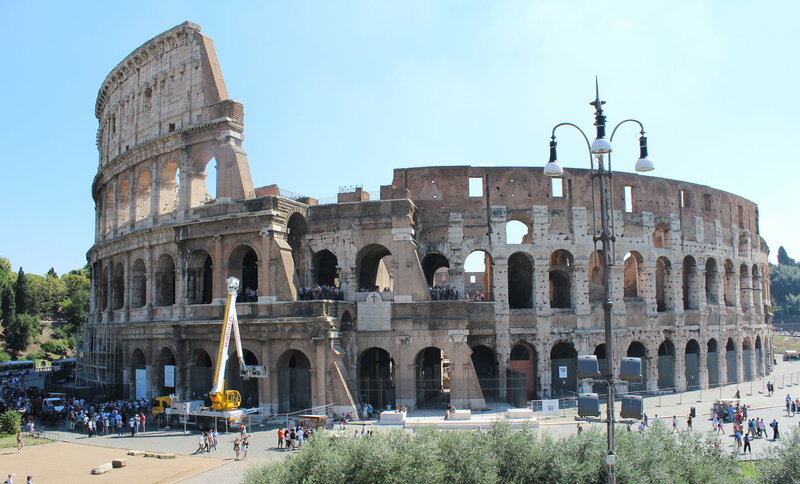 The Colosseum Ruins are currently under a renovation that is expected to take close to a full year to complete. I would suggest that you go to the Roman Forum right down the street to buy your tickets. 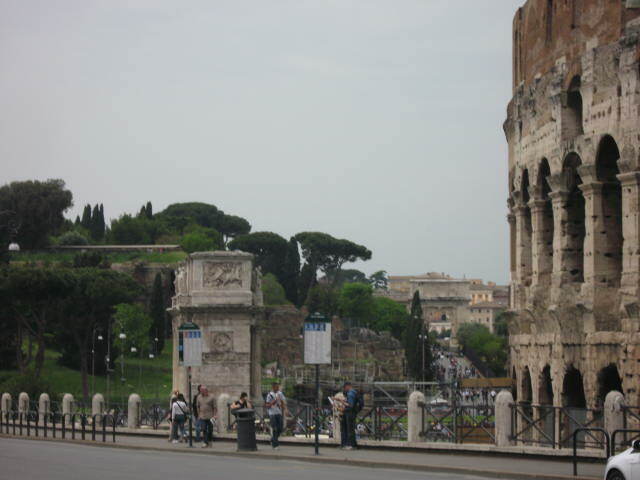 You can buy a combo ticket for both the Forum and the Colosseum there and avoid all of the long lines. SPECIAL: From the 2nd May to the 2nd November 2013 – every Thursday and Saturday you can participate in special night tours from 8.20 PM until midnight. For info on tours in English you can phone +39/0685301755. Info for disabled people: There is an elevator inside. Please ask for assistance at the front ticket center directly at the Colosseum. Where to buy tickets: You can buy your tickets in front of the Colosseum at the ticket stand or in Largo Salara Vecchia, 5/6 (Foro Romano) or at the Palatino ticket stand in Via di San Gregorio, 30 (Palatino). 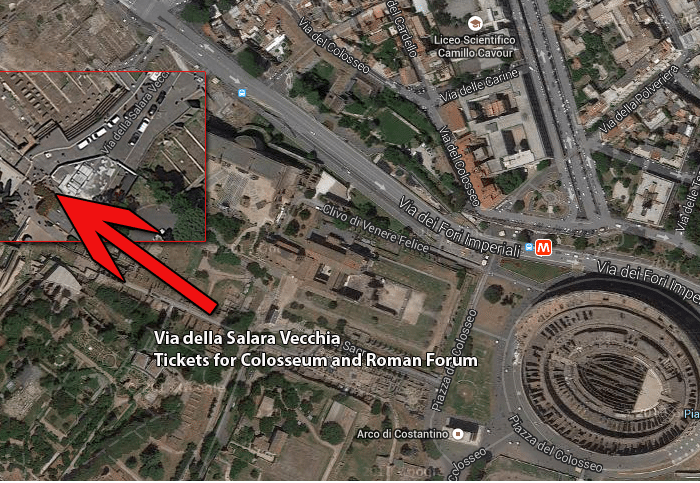 NOTE: The tickets you buy to enter the Colosseum are also valid to enter the Foro Romano and the Palatino. How much do the tickets cost? For citizens of the European Communion (EC) under 18 and over 65 the ticket is free of charge. For everyone else the admission cost is euro 12. Citizens of the EC aged between 18 – 24 pay euro 7,50. Have your ID card ready. If you have bought an '"Archeologia Card", Roma Pass" or a "Roma&Più Pass card" the entrance for the Colosseum will be included. For more information on these cards and where to get them, have a look under our section “Special Discount Cards for attractions”. 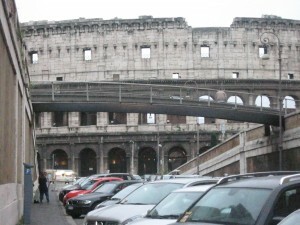 I will give you a little trick to avoid lines when getting tickets to enter the Colosseum. There are 2 lines to buy tickets for the Colosseum, 1 for buying individual tickets and one for tours. The line for tours is often empty while the line for individuals can seem to be very long. The tour group line for tickets into the Colosseum is for both guided tours and for people who want to rent an audio tour. Buying the audio tour will make your wait shorter and also give you a audio guided tour which is all you really need. 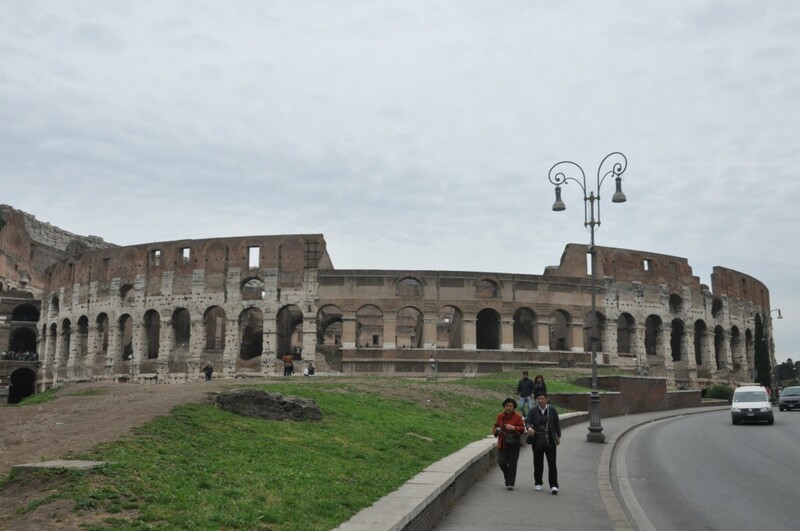 The advantage also to buying your tour ticket is it is also good for the Palatine Hill in the Roman Forum eliminating the need to stand in line a second time to buy tickets. If you do choose to stay in line you will have more than enough going on around you to keep you entertained. 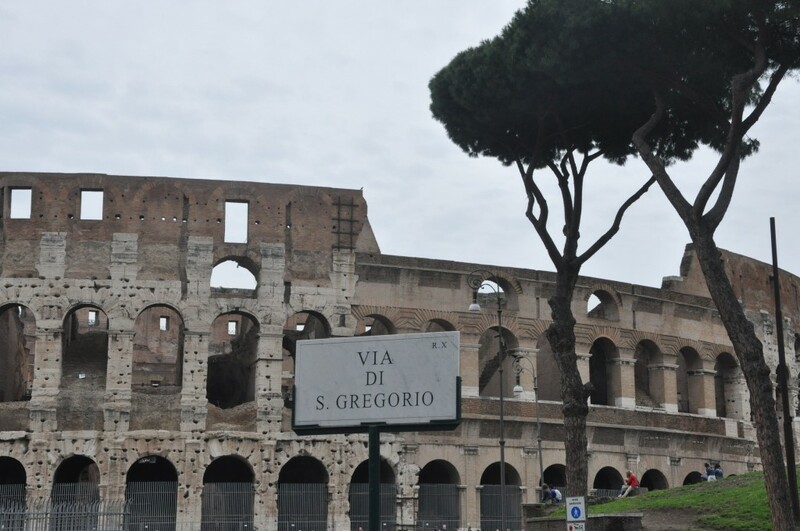 There are actors dressed up in gladiator outfits and plenty of other tourists to talk to. 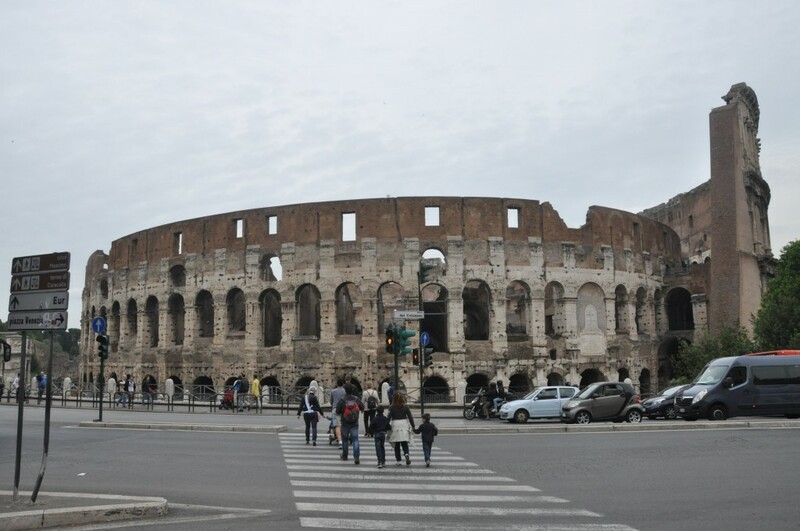 How to get there: Opening hours: The simplest way to get to the Colosseum is with the Metro, considering that you don’t want to walk over or take a taxi from wherever you are. The Colosseum is not out of reach from the other attractions, so you could consider walking. If you decide to take the Metro, you’ll be taking the B line (Laurentina direction) and getting off at the Colosseo Metro Station. 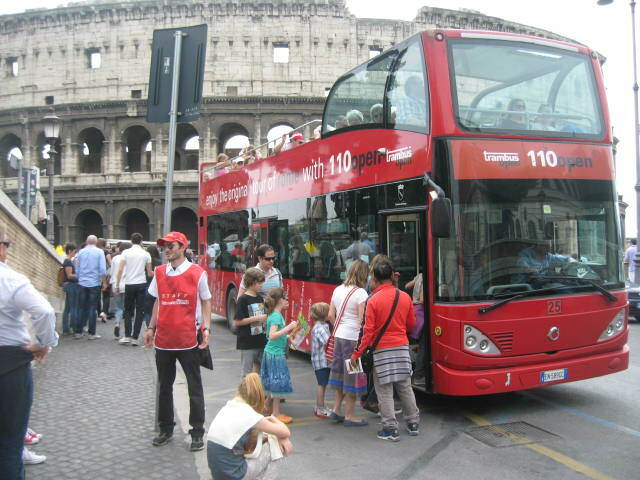 All these buses go to the Colosseum as well: 60 - 75 - 85 - 87 - 117 - 271 - 571 - 175 - 186 - 810 - 850 - C3 as well as the Tram 3. My favorite possibility would be the “Hop on – Hop off” bus that takes you around to the main attractions for euro 20/day or euro 25 for 2 days. By the way, for a couple of euro’s more you can get a deal for the Tiber River Cruise. Souvenirs and Shopping at the Colosseum There are some great gift shops inside the Colosseum and several shops outside also. Hot tip for all photographers: you’ll get the best pictures from standing on a bridge in Via degli Annibaldi. It’s the street where the hop on-hop off buses stop, only a little further down walking away from the Colosseum. You’ll get fantastic pictures without any tourist heads! Have a look at our picture where it is! From this bridge you'll get the best pictures! Where to Eat when you visit the Colosseum During your visit you will see many street side cafe's, sit down restaurants and pizzerias to choose from. 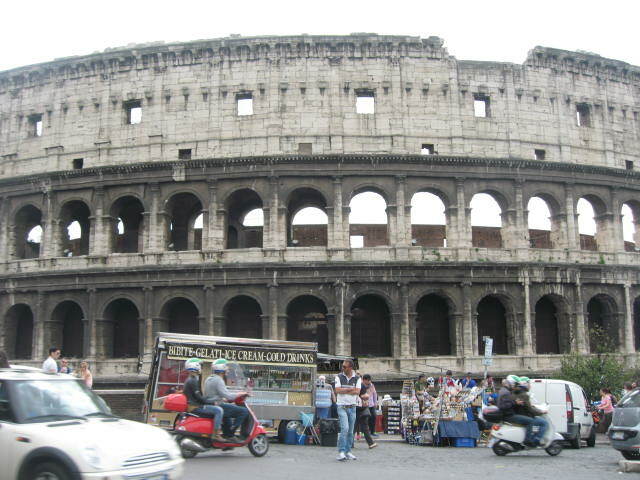 This entry was posted in Attractions in Rome and tagged Attractions in Rome, Colosseum Italy, Colosseum Rome Italy. Bookmark the permalink.